Google is the most extensive search engine, and people are relying more and more on Google to discover services in their area. Google My Business is designed to be useful for businesses such as stores, venues and others which offer services to a physical address. There are some eligibility conditions to use Google My Business. Companies who do not make in-person contact with customers, those do not have a material mailing address should not use this service. People use Google to find information and Google provide information’s to users through search results or maps. It said that more than five million searches are made through Google every day. 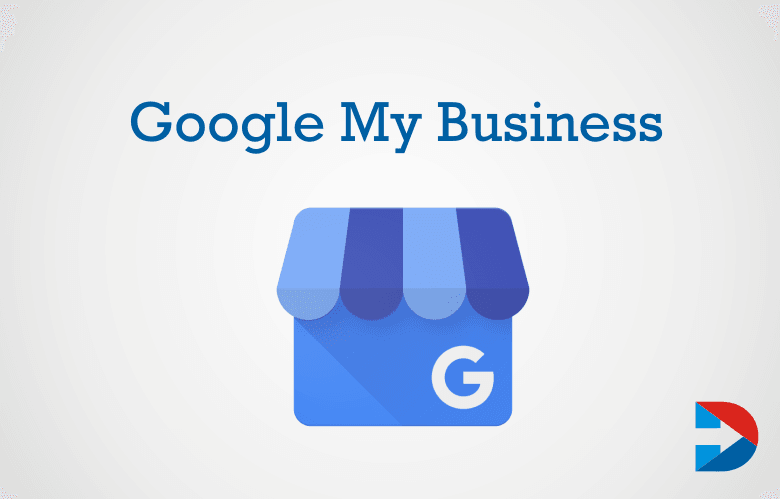 There are many benefits from using Google My Business to market your local business. Your business can show up in local searches of Google which is going to be beneficial for your business in many ways. 3.8 million people are using Google My Business for searching Location and Contact Details. The businesses that are using Google My Business will appear both on Google Maps on mobiles or desktops or any other resources that make use of this data. Listing the business on Google My Business is free. Using this tool can put your business in the form of many potential customers. Though there are other similar services like these, most of them paid services. Google My Business is user-friendly. This tool gives the customers easy access to details of the business such as hours of operation, website, phone number, etc. The businesses can appear prominently in local three pack making it easy to tap potential revenue. Registering a local business in Google My Business is very easy if the instructions follow carefully. The first thing to do is to create a Google Account if you do not have one. A Google Account will allow you to manage all the services offered by Google. From the Google account, access the google.com/business page. Click on ‘Get Started for Free.’ If your business is new click on ‘Add a new listing’ option or if the information of your business already exists with Google, then claim the market. 60% of Clients Go for Google My Business to track Location, Industry, Website, Office Hours and Contact Info. For new companies, you must provide the name of the business, address and contact details. Google asks you to select fie categories to describe the industry. These cannot change later, and so you must be very careful while choosing them. Google also suggests a type which you must want. It will ask you to enter the opening hours, payment methods and other details. There is also the provision to add photos or videos related to the business. Preview as it appears on Google Maps. Verification by phone, postcard or SMS is required before Google lists the industry in search results. Ensure that wherever your business is listed online, it has the same name, address, and phone number. The business listing based on location are made depending on the verified information of the business, third-party providers, etc. when creating or making changes to the Google My Business profile, the account is verified for which a PIN send to either the physical address or the phone number provided by the user. Verifying the account gives the opportunity share more information about the business with prospective customers and expand brand reach. Verification of account allows adding photos of the industry, write the description about the company, creating reviews, upload videos and offer coupons to customers. Use Google My Business To See How Customers are searching your Business and From where they Are. The dashboard of Google My Business allows managing the updates and business information on Google. The followers of a Business page can offer reviews, feedback or post to the profile. It also allows review metrics info from Google Analytics account and YouTube channels related to the business. Any business irrespective of size and location can benefit from using Google My Business service. Companies with a physical location can get many benefits. Going through the verification process is essential to take full advantage. But it is also necessary to understand the limitations. Mailing address or physical address is must for any business to use Google My Business. If yours is a home business, specify the physical address to create the profile and then hide the address and determine the service area. Understand the quality guidelines of Google before updating the business. Failure to do so will prevent being approved by Google to appear in the search engine. Keep in mind that this service offered in only a few countries. When adding the new listing, enter the country from drop money and ensure whether the business is eligible to be listed. Claim Your business on Google My Business add Images of your Business 42% of the request from Google Maps to Locate Business. There is no way Google accepts payments to include the company in natural search results.You will have to use other methods such as AdWords program for paid advertising. Online reviews matter most for the potential customers. Therefore have online reviews on your Google My Business profile. The analysis and ratings that appear beside the name of the business in 3-pack can affect the purchase making decisions of the potential customers. Using Google My Business is the easiest way to build online visibility. Keeping track of the changes in search engine algorithms is challenging but necessary. Having some professional executing the SEO strategy and making changes to it is crucial to improving the online presence and visibility. Using this can attract attention from local audience online. The involvement in the promotion of goods and services are the techniques of marketing tools. Selling their products and service to the public will make extensive use of different types of marketing tools are to needed for business. The product, Promotion, Price. The reason for choosing port business is to the handling of a specific traffic or for a new investment. Research shows that 46% of all searches on Google are local searches. Responsive Web Design Tools is optimized for wide range of devices. This helps to stay consistency and continuous support to multiple platforms. It helps to track your local citations, spot Nap issues, and also find new citation sites. Track your local quotes, spot NAP issues, and find new citation sites. Keyword research is a fundamental part of pay-per-click marketing and success of search engine optimization (SEO). It is especially relevant for freelance writing, online publishers, bloggers. It is a critical analysis of your company marketing plan is to identifying your competitors and evaluating their strategies to determine their strengths and weaknesses of your product and service. In this, it automatically checks your links managed by Link Manager for activity, change in status and performance. Monitoring your network traffic leads to proper improved utilization of your enterprise network bandwidth and also helps in improving organizational productivity and efficiency. Call Tracking Metrics is helping businesses track, manage and automate calls. Using this tool, you can make your time spent on your social media online marketing as productive and portable. It is used to develop relationships with potential customers or clients. It is a line segment of internet marketing, which encloses online marketing through websites, social media, blogs, etc. Secure Payments is a safe, simple, reliable which all the online payments made easy. These are essential tools for Local Marketing Tools which are useful in our daily life. Also, we are having Bonus Local Marketing Tools such as WordPress, Ubbersuggest, canvas, TweetFull, etc., achieving customer needs by using this type of tools hit the success.